It’s a massive cup - wide-bottomed and large-rimmed, filled to the brim with precious caffeine. The day will prove long and you won’t survive without a dose of sugar-sweet energy. This drink will sustain you through meetings and miles alike. As you lean down to place it in the cup holder, however, an unfortunate truth suddenly emerges: the drink is too big for your truck’s tiny console. It simply won’t fit. You’re then faced with a long journey of one-handed driving and frustrated tears. Ford believes this to be unacceptable. This is why it recently sought to redefine consumer convenience, creating a cup holder that could adapt to every need. Auto Evolution reports that the 2017 F-150 will boast a new front-cabin configuration, with an innovative transformable cup holder. This option - which shifts from two to ten individual slots, depending on specific beverage requirements - delivers ease. The wide spaces, combined with customizable panels, ensure everyday value. They can effortlessly accommodate multiple 24 fl.-oz drinks to keep drivers hydrated and happy. With the release of the 2017 F-150, Ford is promising a new wave of power and performance - and, with the addition of this customizable cup holder, it’s also offering convenience. Much anticipation surrounds the arrival of the 2017 F-150 - with critics and consumers flocking to dealerships, trying always to catch a peek at the latest pick-up powerhouse. It’s destined to be this year’s definitive platform. Ford, however, is looking toward the future - already testing its 2018 F-150. Trucks.com just released exclusive spy shots of the 2018 F-150. This rugged pick-up boasts a fresh look, with its wide frame and sculpted panels paying tribute to the Ford Super Duty. A massive grille (along with a tweaked tailgate) create a powerful profile, while two-bar front styling adds a sporty touch. It will offer bold design for North Americans. The 2018 F-150 isn’t slated for production until late next year. Ford is already testing this platform on the highway, however, to ensure a seamless V6 transition - and many wonder whether it will feature an electric battery option, promoting efficiency with every mile. The Trucks.com photos don’t offer a peek beneath the hood, but the Novlan team certainly has its fingers crossed for hybrid performance. What do you think about the 2018 F-150? Does its Super Duty inspiration impress? Share your thoughts with us today! Be sure to send us any questions or comments about the current F-Series line-up as well. We’ll gladly offer specs, schedule test-drives, and provide financing information. With a great name comes great expectations. Ford’s venerable Super Duty, therefore, faces both critical and consumer scrutiny as it pushes toward the assembly line - with many wondering if the 2017 model can keep pace with its super-sized moniker. The Novlan team believes it will. According to Fox News, the 2017 F-Series Super Duty will deliver best-in-class performance - with its 6.7L PowerStroke turbo-diesel engine generating 440 HP and 925 lb.-ft of torque. This will dominate the market, offering more than 30 HP and 26 lb.-ft of torque than the current leader (the 2016 Dodge Ram). Much mystery has surrounded the 2017 F-Series, with Ford revealing only the smallest of details. With this engine confirmation, however, all concerns should be erased - with drivers promised the performance they need and the power they crave. The truck is, after all, expected to offer 32,5000 pounds of gooseneck trailering and 7,330 pounds of payload capabilities. Are you as impressed as we are? No official release date has yet been given for the 2017 F-Series Super Duty. Critics believe, however, that it will arrive in the late fall. We’ll keep our fingers crossed and our lot ready. To learn more about the 2017 Ford Super Duty contact us today. 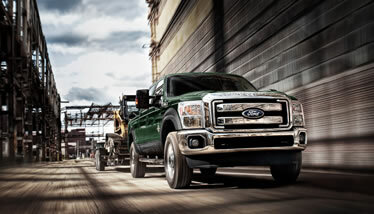 Strength defines the Ford F-Series. For more than thirty years, this pick-up has delivered staggering capabilities - dominating the roads with best-in-class payloads, best-in-class trailering, and best-in-class towing. It’s connected drivers to the high-performance horsepower they need. That performance was recently rewarded, with the F-Series earning record-breaking sales in June. According to the Motley Fool, Ford scored a massive 38.1% of the total pick-up market - powering past leading competitors Chevrolet, Dodge, and Toyota. These numbers reflect the popularity of the F-Series, with the line-up posting a strong 11% year-over-year growth. With the impending arrival of the 2017 F-150, that growth should continue. This F-Series model ranks among the year’s most anticipated and drivers will flock top dealerships in the fall to claim it. The Novlan team has already secured a space of honor for the 2017 F-150. We’re ready to provide our customers with the heavy-duty power they deserve. In the distance comes a rumble - the slap of hooves against the road, the deep growl of a beastly platform. The 2017 F-150 is coming and it’s bringing enhanced horsepower with it. According to Torque News, the 2017 F-150 will connect drivers to peerless power - with its new 3.5L EcoBoost V6 engine delivering 375 HP and 470 lb.-ft of torque. These numbers cast a massive shadow over the market, promising best-in-class performance for the United States and Canada. 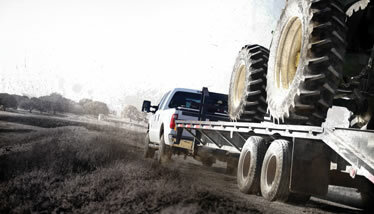 No other half-ton model generates the same full-throttle strength. Complementing that strength will be a dynamic 10-speed automatic transmission (the first of its kind in North America). This feature will allow for quick shifting, ensuring smooth rides on every terrain. Ford has partnered with General Motors to launch this technology - and the partnership should prove fruitful once the F-150 arrives, offering drivers improved performance and economy. The 2017 F-150 will provide North Americans with the precision they crave, adapting to every demand with ease. Through its bolstered engine and superior transmission, it will push past the competition. The Novlan team can’t wait to test it out! To learn more about the 2017 F-150 (as well as other F-Series models) contact us today. Performance defines the F-150 - with Ford fusing every line with best-in-class power, delivering exceptional payload capacities and rugged adaptability. This truck embraces the blue-collar philosophy. With the release of the 2016 F-150 Limited, however, it also embraces luxury - connecting North Americans to a bevy of premium features. According to TFL Truck, the 2016 F-150 Limited provides drivers with a new (refined) rough-road experience. 20-inch satin-finished wheels ensure a smooth ride, while wooden interior trims highlight the spacious cabin. A panoramic sunroof offers striking views, and an advanced 360-degree camera system promotes safety from every angle. Custom badging showcases the aluminum exterior; LED spotlights illuminate even the darkest environments; and the SYNC 3 infotainment system promises seamless connectivity. Through these features, the 2016 F-150 Limited transforms the pick-up market - creating comfort, convenience, and luxury. Ford doesn’t compromise the signature F-Series performance, however. Instead the Limited boasts a 3.5L V6 engine, revving up to 365 HP and 420 lb.-ft of torque. When paired with a six-speed automatic transmission, this truck can easily dominate the back-roads. To learn more about the 2016 F-150 Limited (as well as other F-Series options) contact us today. The days prove all too slow for Raptor fans - with Ford’s signature F-150 variant still months away from the production line (and the dealership). Specs have been released; images have been offered; but there’s been nothing tangible to sustain pick-up devotees. According to TFL Truck, a sound byte of the 2017 Raptor has been released. Ford fans can now listen to the rumble of the V6 - an engine choice that was originally much contested by drivers. This F-Series model no longer boasts a V8 but instead features a 3.5L EcoBoost platform (which promises twin-turbo power and superior economy). Some worried that this would undermine the truck’s performance, but these clips should allay those fears. The 2017 Raptor sounds fantastic, delivering a smooth exhaust purr. This will certainly appease fans of the original V8 platform, promising much-craved Ford performance. There's been no compromise, only innovation. The F-150 Raptor should arrive in the early fall - and the Novlan teams knows our customers will be anxiously waiting to test this exhaust sound for themselves. On June 26th the Goodwood Festival of Speed reached an exciting end - with the world’s leading manufacturers (including Bugatti, Aston Martin, and Mercedes-Benz) thrilling audiences with full-throttle displays. None of these displays, however, achieved the same reaction as Ford’s final lap in its much-celebrated Raptor. Ford - in stark contrast with the convertibles, coupes, and rally-racers - brought its 2017 F-150 Raptor to Goodwood, stunning audiences with spectacular power. Watch below as the truck (deftly handled by former Top Gear performer Ben Collins) completes a 360-degree spin-out on the track. Ben Collins - known across the globe as the former Stig - left Goodwood guests speechless when he sent the 2017 Raptor tail-spinning across the track. This feat demanded incredible skill... and undeniable power, utilizing the F-150’s V6 engine to ensure a smooth arch. It’s no surprise that this stunt had the entire festival bursting with gasps, applause, and questions - all centered around the 2017 Raptor and its all-terrain capabilities. The Novlan team is certain that Goodwood will have a good impact on Ford’s upcoming F-Series sales. To learn more about the 2017 F-150 Raptor (as well as other F-Series options) contact us today. Across North America drivers and dealers alike hold their collective breaths - waiting anxiously for the 2017 F-150 to arrive. They crave best-in-class power, with the latest F-Series model boasting a 3.5L V6 and an economy-boosting aluminum construction. This truck promises enhanced speed, strength, and efficiency. It also promises a new interior design. According to Torque News, the 2017 F-150 will feature an updated speed cluster gauge. 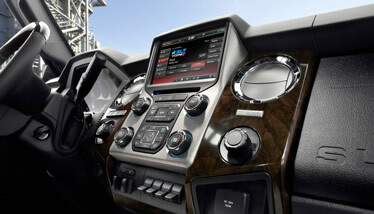 This gauge will highlight the truck’s 10-speed automatic transmission - the first of its kind for the F-Series. Developed in partnership with General Motors, the 10-speed platform will deliver precise performance, allowing for seamless terrain navigation. By eliminating cast iron components - which generate excess weight, interfering with both the engine and the drivetrain - the aluminum system will shift with greater efficiency. This, the Novlan team knows, will prove crucial for North American consumers - allowing them to adapt to work and play with ease. The 2017 F-150 is engineered for everyday performance; and, with the arrival of the new speed gauge cluster, it’s ready for any demand. No official release date has been given for the 2017 F-150. Critics anticipate that the announcement will arrive soon, however, and the truck should shortly roll into dealerships. To learn more about the 2017 F-150 contact us today. May offered more than its proverbial flowers in 2016. Instead it delivered strong sales - with the Ford F-Series blitzing past the competition and generating new records. According to 24/7 Wall Street, the F-Series remains the best-selling pick-up in North America, earning an impressive 67,412 total units in May. This represents a 9% year-over-year increase, with the F-150, F-250, and Raptor (once again) proving their consumer appeals. This provided Ford with approximately 45% of all full-size purchases. The competition was, therefore, left in the dust - with the GMC Silverado delivering only 45,035 units (a 12% year-over-year decline) and the Dodge Ram achieving only 38,833 units (a 3% year-over-year decline). Other leading marquees - including the Toyota Tundra and the Nissan Frontier - fared worse, unable to even manage 10,000 units each. These statistics highlight the value of the F-Series, with consumers flocking to best-in-class towing, payloads, and economy. June should continue this trend, with drivers hurrying to the Novlan lot to find their F-Series powerhouses. We expect a strong start to summer and know that these trucks will provide seasonal power for all. To learn more about the 2016 F-Series - including the F-150 and F-250 - contact us today.